View basket “The Erin” has been added to your basket. This brush is used to create the perfect smoky eye look. The short round dome shaped head is perfect to use for shadowing and smudging around the lash line. Also can be used for densely shading and blending on the eyelid. This brush is super for helping to create the smoky look as the size & shape of the brush tip makes it so easy when applying, I never leave home without it! 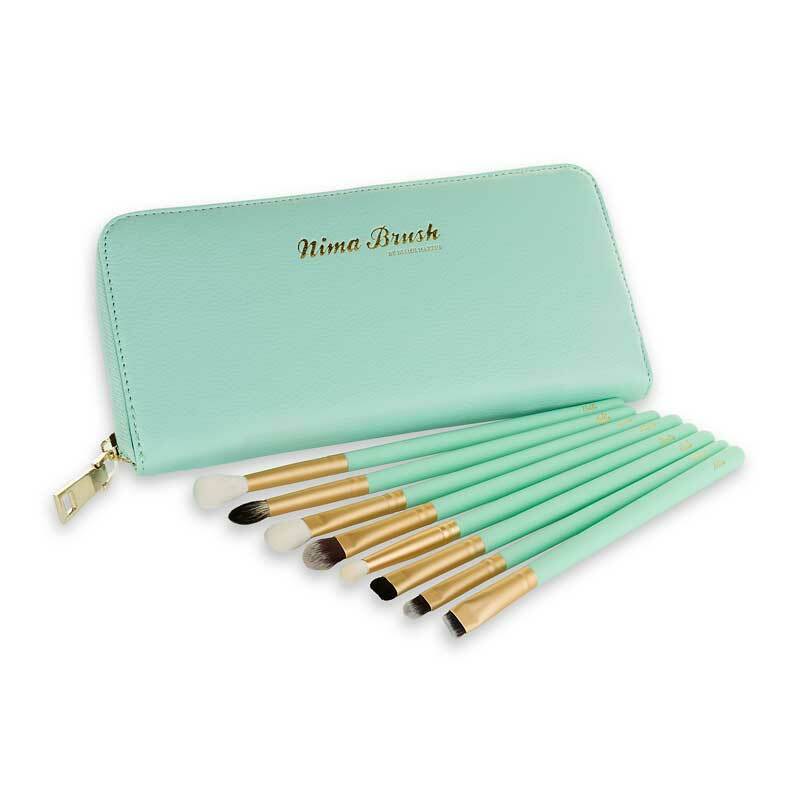 Designed by Award Winnning Bridal Makeup Artist, Danielle Mahon, and Created by Award Winning Brush Company, NIMA Brush, this beautiful set is the ultimate ‘one set fits all’ when it comes to makeup brushes. A stunning starter set for any makeup entusiast or a beautiful bridal gift for your bridal party. This set has everything you need for the perfect pretty face! The ‘Harley’ is a face brush handmade using brushed goat hair and is unbelievably soft. With its long whispy hairs this is the Creme De La Creme of face brushes. The Harley is extremely versatile and can be used for a Variety of different applications such as highlighing the raised areas of the face, for a light sweeping of blush on the apples of the cheeks, bronzer application and can also be used to create a soft shading effect to the contours of the cheekbones. The CJ is a dense taklon synthetic fibre brush designed with a round dome shaped head to enable you to get into the contours of the face. Can be used to whisk powder across the face, apply blush across the cheekbones or to contour under the cheek one for a more defined make up finish. Designed with a matte gold ferrule and soft velvet feel ‘duck egg’ coloured handle, this brush is both luxurious to work with and stylish to be seen with!